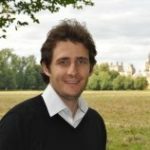 Clément is Assistant Professor at University of Warwick. He was a Postdoctoral Research Fellow at the Department of Economics and Nuffield College, Oxford University. His fields of interest are Development economics, Labor economics, Public economics and Political economy.